If you're like most homeschool parents, you want to raise your kids to know Christ and embrace a biblical worldview. In this effort, instilling the actual words of Scripture in their hearts is vital. After all, a biblical worldview cannot be said to exist apart from a deep and wide knowledge of God’s actual words. 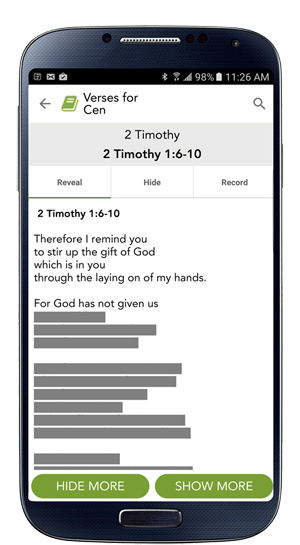 Our SwordGrip program is especially suited for integration with any homeschool, featuring key verses from each book of the Bible. Each flipbook includes detachable verse cards, stickers to mark each week's recitation, and Grip-it-Tighter Questions. Click below to learn more about SwordGrip. View our event calendar to find out if we're coming to a homeschool convention near you.